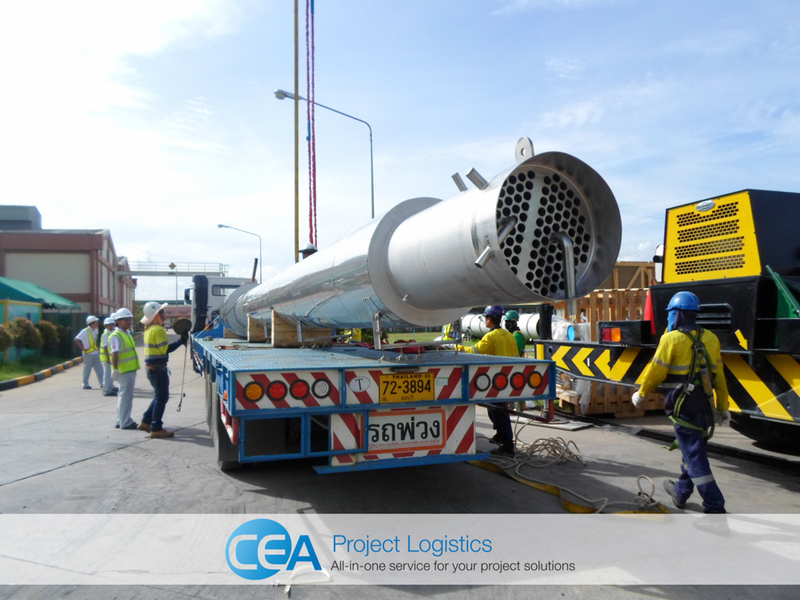 CEA Project Logistics completes a potentially difficult and technical installation project in Bang Nam Priao, Thailand. The project consisted of the Transportation, Lifting and installation of several parts of distillation columns, evaporators and fans for a well-known drinks manufacturer. Total tonnage was over 46 Tonne with the largest part weighing in at 28 Tonne and over 23 meters in length. All parts were discharged through the night at Laem Chabang Port and loaded on to several flat-bed and low ride trailers. 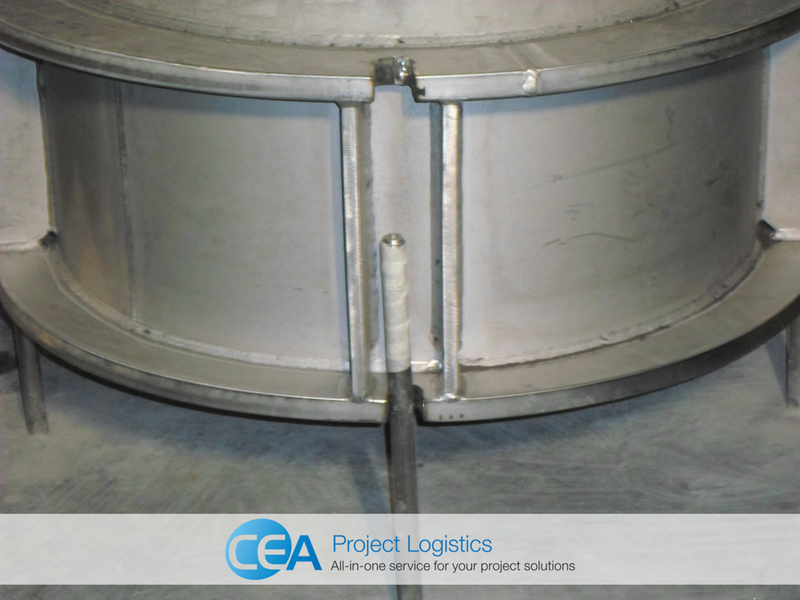 Due to its weight and dimensions, the Evaporator Chamber upper part was loaded on to a multi-axle hydraulic trailer. The following day the trucks and their cargo made their way to the installation site in the province of Chachoengsao. Upon arrival, all cargo was unloaded in the Factory’s lay down area while the site was inspected for suitability for the two mobile cranes that would be used. After all, parties were satisfied the site was safe, two mobile cranes one 500 Tonne the other 80 Tonne were moved into their positions and tested accordingly. 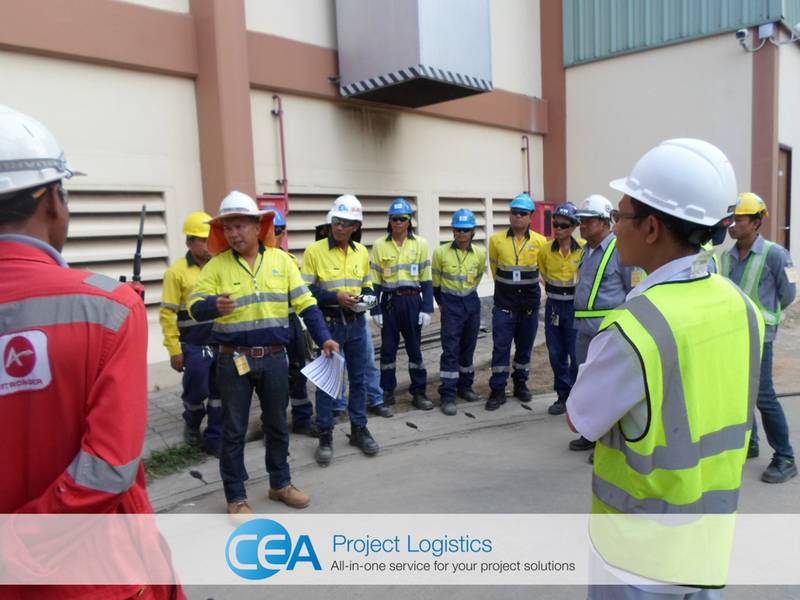 On the morning of the installation final equipment and personnel were checked followed by a tool box talk held by CEA to the assisting companies’ workforce. After the talk, a mandatory alcohol test was given to all by the onsite CEA Safety Officer. 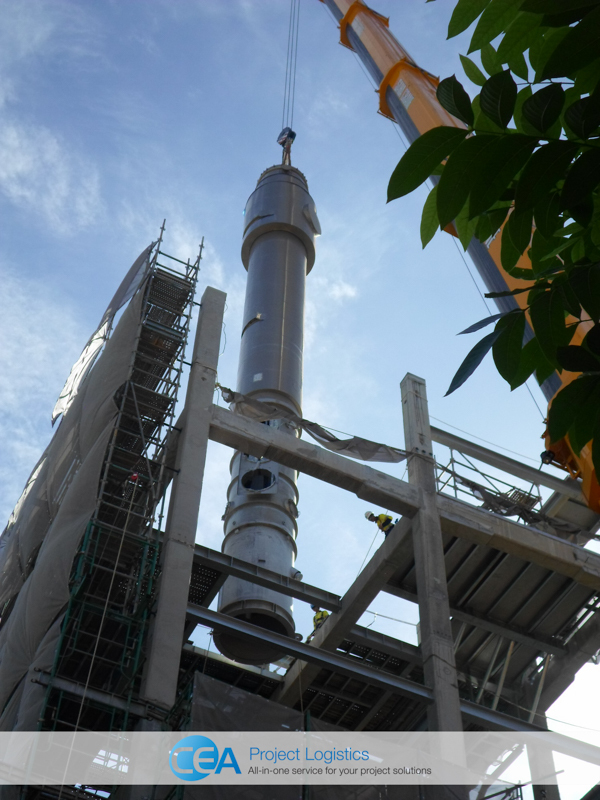 The Evaporator Chamber was the first piece lifted, both cranes began a tandem lift until the chamber was vertical then the smaller 80 T crane was unhooked while the larger 500 T crane continuing the lift into the facility. 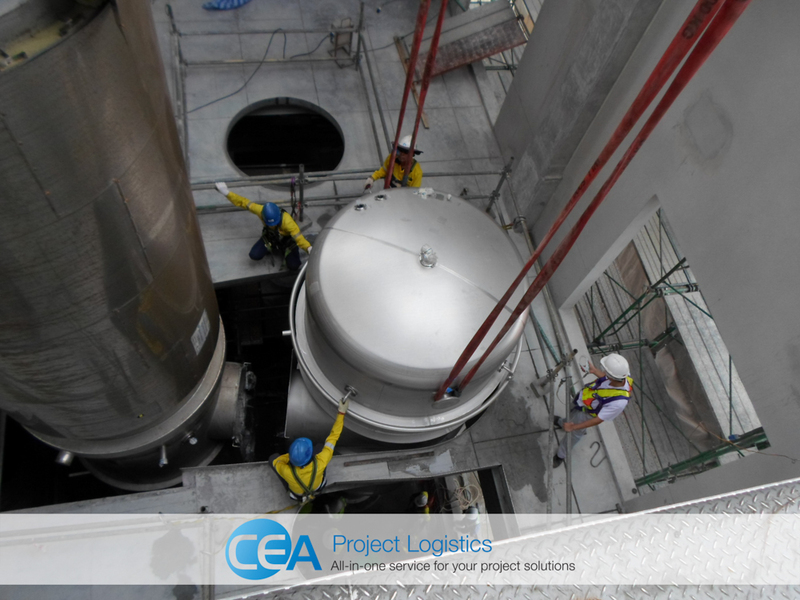 CEA teams were placed on several floors to facilitate the lowering of the evaporator on to its base on the ground floor. 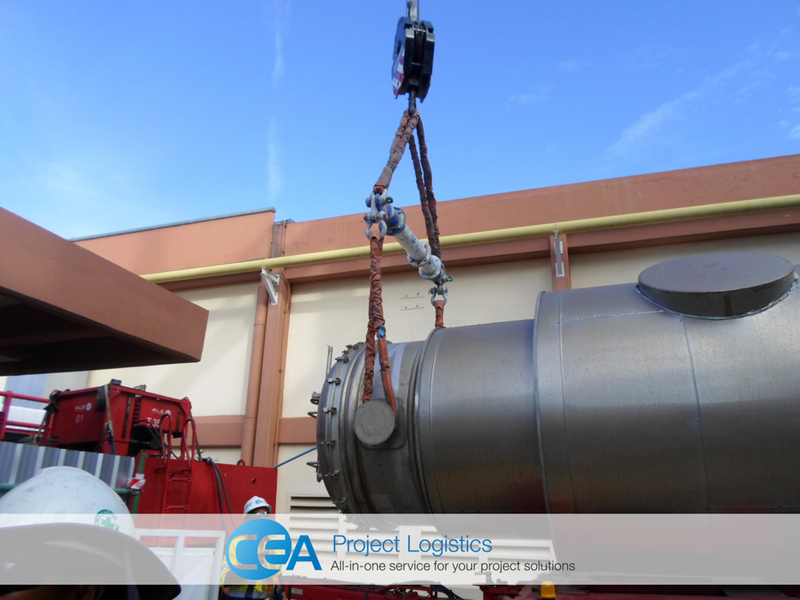 Smaller parts were taken by CEA trailers to the installation site and assembled then lifted into the facility. On the final day, the 16-metre distillation chamber was transported on a low bed trailer to the sites lay down area. 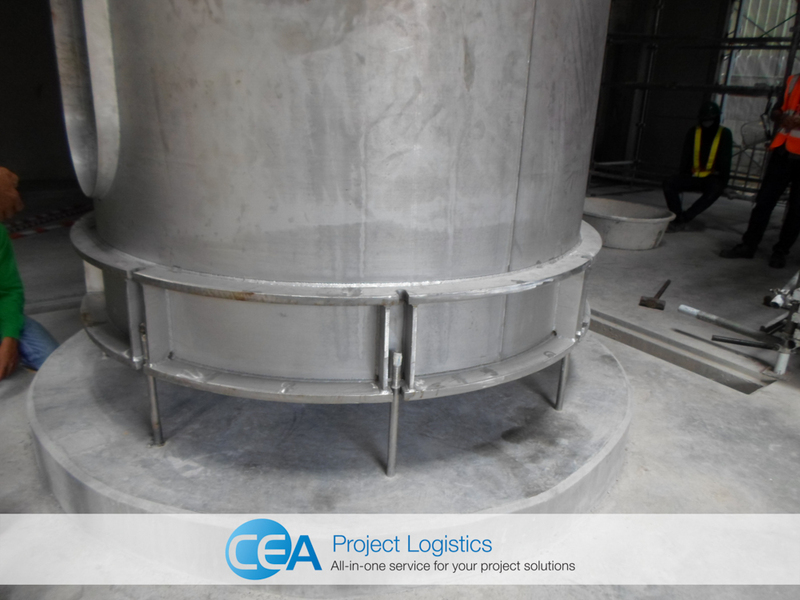 The same lift technique used for the Evaporator was used again with CEA teams inside once more ensuring a safe installation on to the chambers base and aligning it to the previously installed Evaporator chamber. 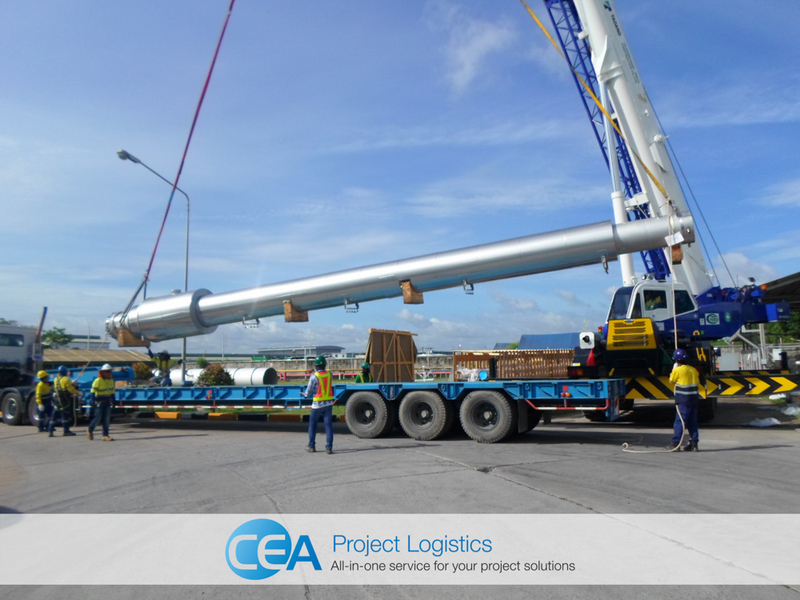 Finally, smaller parts were taken by CEA trailers to the installation site and assembled then lifted into the facility. 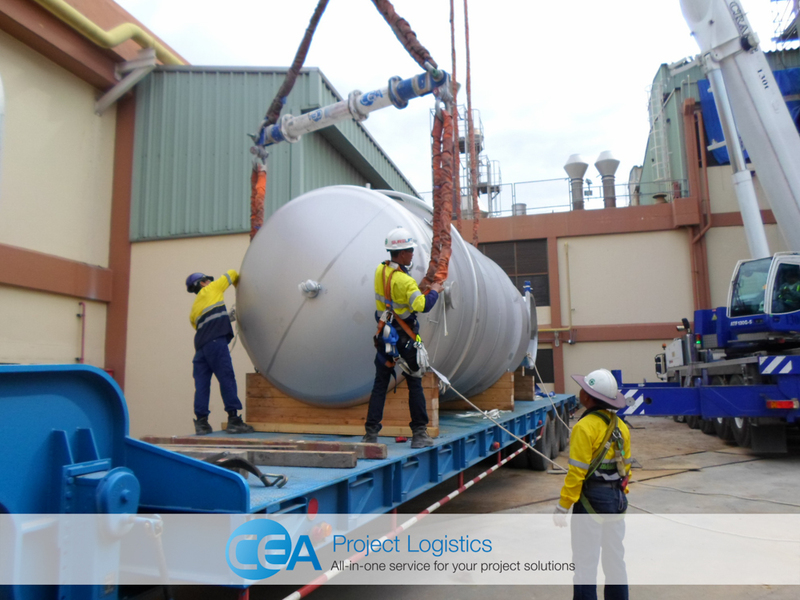 CEA completed the project with all demobilisation of equipment and personnel.